ΠΟΛΛΑ ΝΑΤΟΙΚΑ ΚΡΑΤΗ ΔΕΝ ΠΛΗΡΩΝΟΥΝ 2% ΤΟΥ ΑΕΠ ΓΙΑ ΤΗΝ ΑΜΥΝΑ. Η ΕΛΕΥΣΗ ΤΡΑΜΠ ΘΑ ΤΟΥΣ ΩΘΗΣΕΙ ΠΡΟΣ ΤΑ ΕΚΕΙ….ΓΙΑ ΤΗΝ ΕΠΙΒΙΩΣΗ ΤΟΥ ΕΥΡΩΑΤΛΑΝΤΙΣΜΟΥ. Багато країн НАТО не витрачають 2% НВП на оборону. Новий Президент США Трамп стане поштовхом до виконання ними цієї програми з метою збереження Євроантлантичного Альянсу. Come Jan. 20, President-elect Donald J. Trump will start carrying out his agenda. How does he expect to turn his promises into policy? Do his plans make sense? If not, what should he do? Finally, given the political realities of Washington, what’s most likely to happen? This is part of a series of editorials that try to answer these questions. What he says he’ll do: During the campaign, Trump warned that he was prepared to ditch longstanding defense guarantees unless the U.S.’s European allies started fulfilling their “obligations to us.” Specifically, he noted that few NATO allies were living up to their pledged military spending and called into question his willingness to uphold the organization’s Article 5, which holds that an attack against one member is an assault on all. Does that make sense? Trump is correct about the western European allies’ failure to pay their fair share. In 2015, only four members met the mandate to spend 2 percent of their budgets on the military. But many of them — including France and Germany — have approved increased spending, and the amount doesn’t even include what some of them spend hosting U.S. troops (in Germany’s case, more than $1 billion). 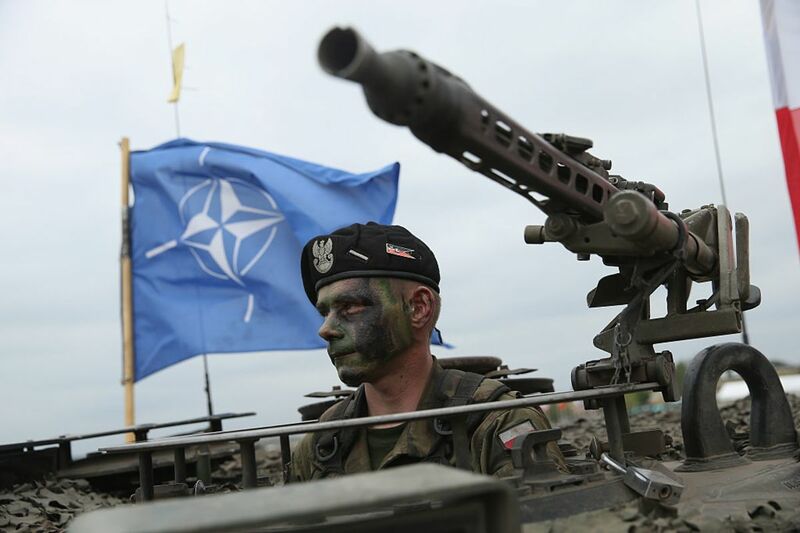 NATO is also creating a rapid-reaction force of 40,000 troops backed by air power, tanks and heavy artillery to rebut any Russian aggression. What he ought to do: Trump should tone down the rhetoric but keep up the pressure on the Europeans to stick to their military spending plans. The U.S. should also take the lead in stepping up the alliance’s weak cyber-defenses, helping the Baltic states counter pro-Russian propaganda intended to weaken their political institutions, and shoring up Europe’s intelligence-sharing operations. Appearances also count: Trump should meet early on with Secretary General Jens Stoltenberg and the top military commander, U.S. Army Gen. Curtis Scaparrotti, and try to mend fences at next year’s NATO summit in Brussels. The most likely outcome: Obama came out of his first meeting with the president-elect with the news that Trump would reaffirm the U.S. commitment to NATO. Trump has disowned a lot of his campaign rhetoric, but few examples are more heartening than this one. Between the rise of Vladimir Putin’s Russia and the global war against terrorism, NATO remains indispensable. Perhaps Trump now realizes that.